Controlling our expenses may sound like a simple thing to do, but it’s actually not. Even the thought of saving money inside a piggy bank sounds easy, but if we take these things lightly, then there would be a chance that these savings will be spent as well. 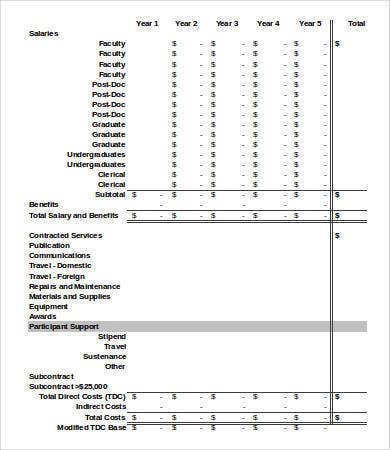 As early as possible, we should already learn how to budget our resources. 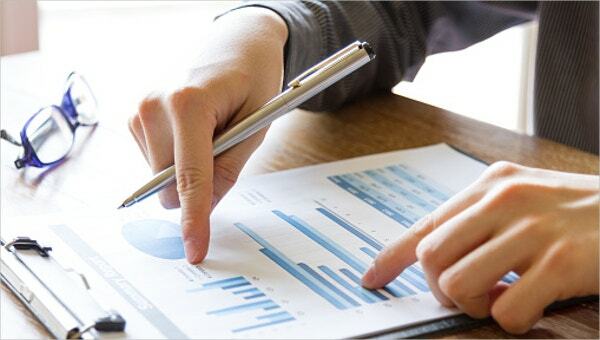 Budgeting refers to the act of setting a plan for your expenses. It is when you balance your expected costs with your actual income. This habit is commonly taken for granted by most people. Some may practice it, but not efficiently. 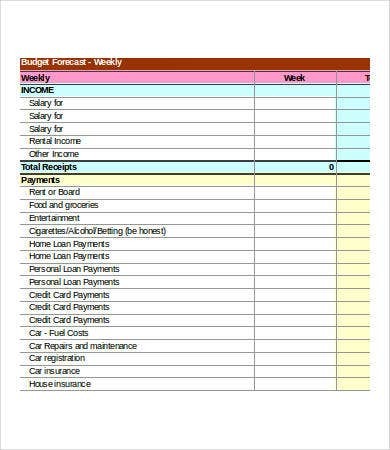 Budgeting will allow you to determine whether you have sufficient resources for your expenses. 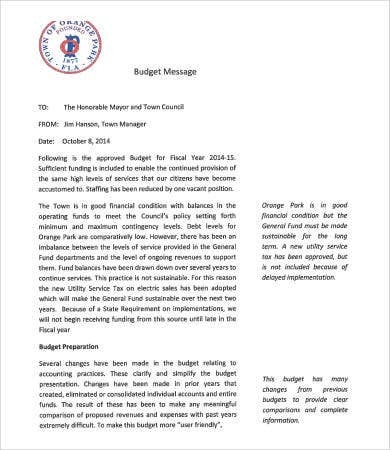 And on our website, we have tons of budget templates ready for use. Budgeting will also allow you to have more control over your money. Through planning your budget, you are ensured of having enough extra money for other purposes. With effective budgeting, you may be able to prevent yourself from overspending. It could also help keep you away from being in debt. What are the importance of having a budget plan? 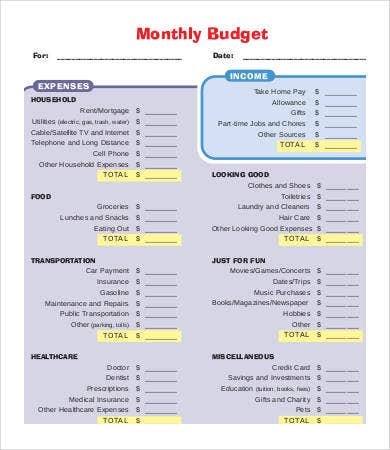 Budgeting helps you prioritize your spending and manage your money. 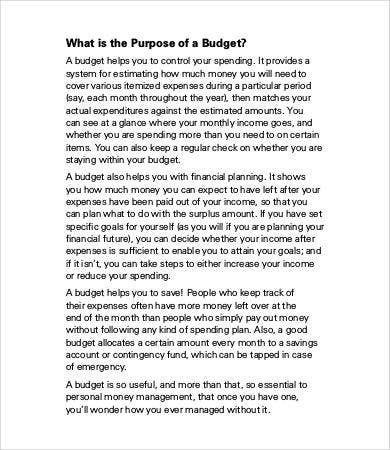 Budgeting gives you an idea on where your money is coming from and where it is going. 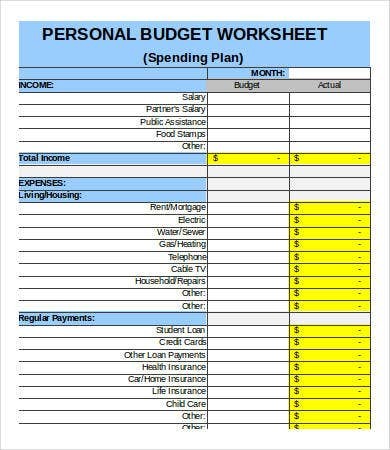 Budgeting can help you divide your resources for into different areas of expense. 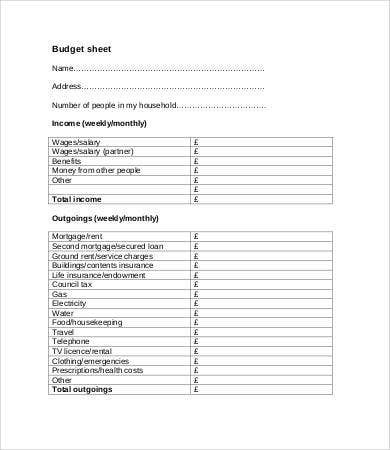 Budgeting will ensure you of having spare money for emergency purposes so you don’t have to worry too much when unexpected problems arise. Budgeting can help you anticipate whether you will need to borrow money from others and an estimation of how much. Budgeting can help you save money by setting aside a certain amount that will only be used in case of emergency. Always think of the long-term rewards you will be getting from following your plan. When planning to spend on something, make it a habit to think it over whether you really need it or can simply do without it. Have more control, and don’t use credit cards. Use debit cards instead. Involve other people in your plan. 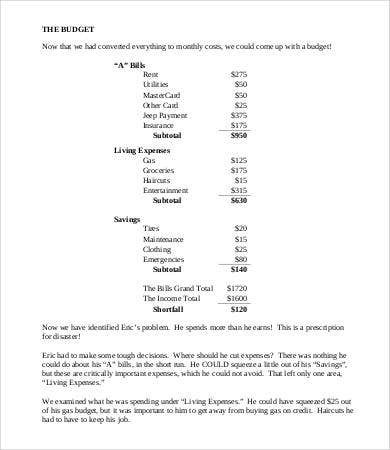 Read and educate yourself on how to minimize your expenses on necessities. People who have limited resources and want to make the best out of it. People who are in debt. People who are aiming for financial targets. People who are planning on retiring. 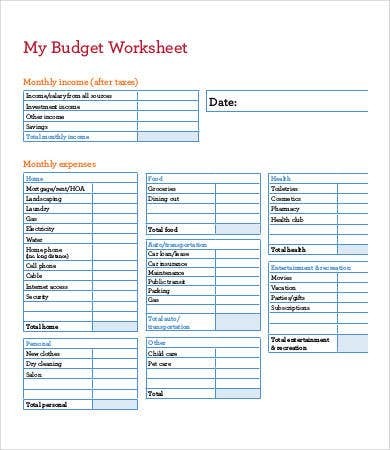 If you are managing a business and you want to make a budget plan, then a business budget template is perfect for you. These templates are easily accessible and downloadable for anyone with good Internet connection. 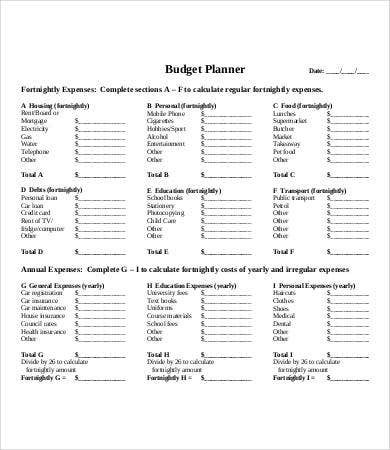 These templates can be downloaded in high-resolution PDF format to assure you of clear and legible quality if printed on paper, and also in Microsoft Excel formats, which is fully editable to give you freedom in making the necessary changes for your personalized budget sheet. If you are in the marketing industry, you may want to check out our collection of marketing budget templates. But if you weren’t able to find what you were looking for on this page, scroll down to the bottom and feel free to check out the links to other related templates on our website.